Brought to you by Nuffnang and Flexicar. 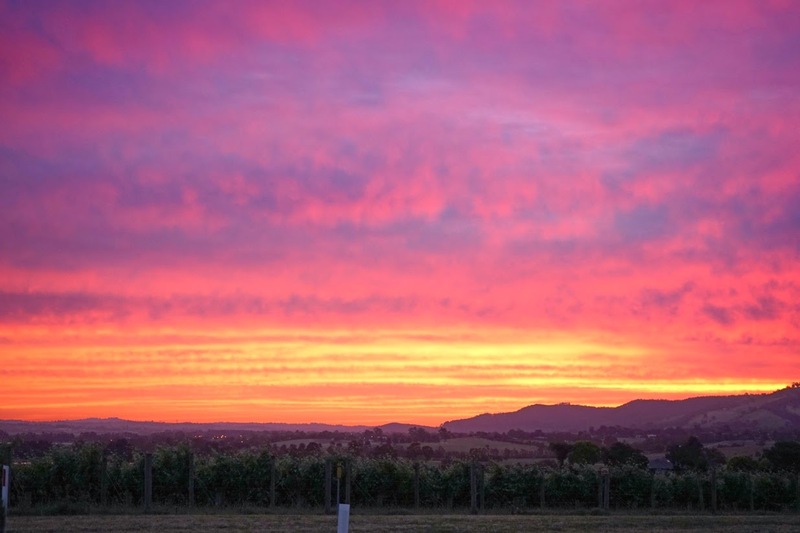 Last weekend I was invited to Balgownie Estate in the Yarra Valley. 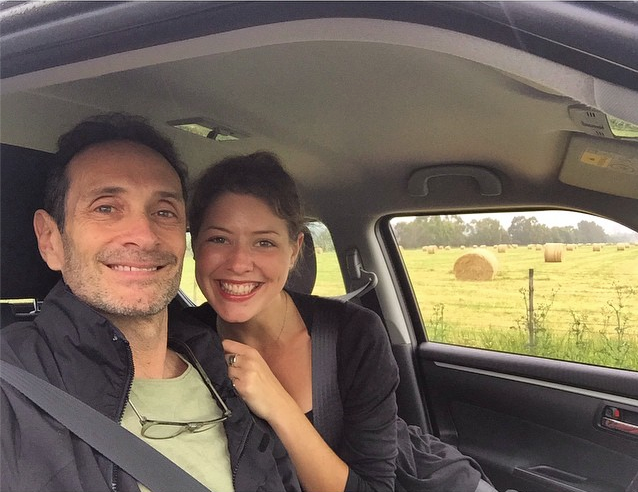 Of course I made the most of the opportunity, dragging my father around this beautiful part of Victoria, from TarraWarra Estate to Yarra Valley Chocolaterie (you can read my Yarra Valley dining recommendations here). The dinner at Balgownie Estate coincided with the opportunity to put Flexicar to the test. You may already be familiar with Flexicar from mistakenly thinking you’re about to score a parking spot directly outside where you need to be, only to realise it’s reserved for Flexicar. Prior to my Yarra Valley road trip, that was the extent of my experience with the car-share company. Aside from the reserved parking spot, it’s as simple as signing up, booking a car online, picking it up nearby and eventually dropping it back in that conveniently located parking spot. I drive too far and to too many different locations across town to continue to use Flexicar, but if I were ever stuck without a vehicle or wanted to try something different on a road trip, I’d definitely do it again. I have friends who live in the CBD and rent out their apartment car park because they didn’t use their car often enough to justify keeping it. Whenever they need to drive somewhere, they turn to Flexicar. If you’re keen to give it a go, Flexicar are offering all new members who join by the end of the year a $15 credit towards a booking in January 2015. 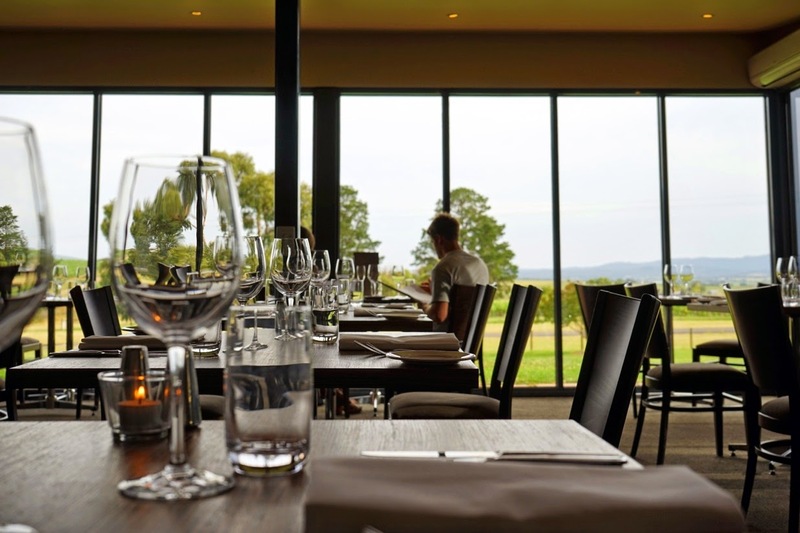 Flexicar took us around the Yarra Valley on a gourmet roadtrip, but our major destination was Rae’s Restaurant at Balgownie Estate. 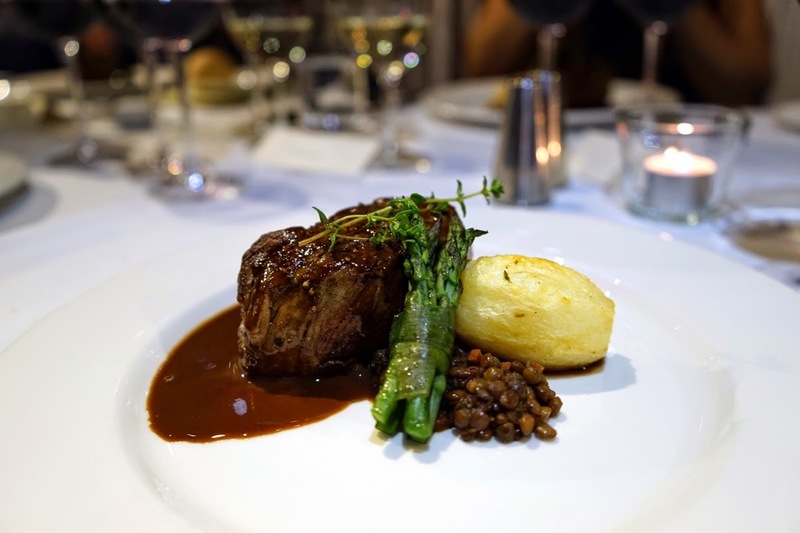 The dinner was held to promote a new menu, the ever-knowledgeable head winemaker Tony Winspear and head chef Graham Taute, who came on board in the middle of 2014 after spending the last 25 years in Tasmania, most recently as executive chef at Wrest Point Casino. The media dinner, like all media dinners, aimed to impress. 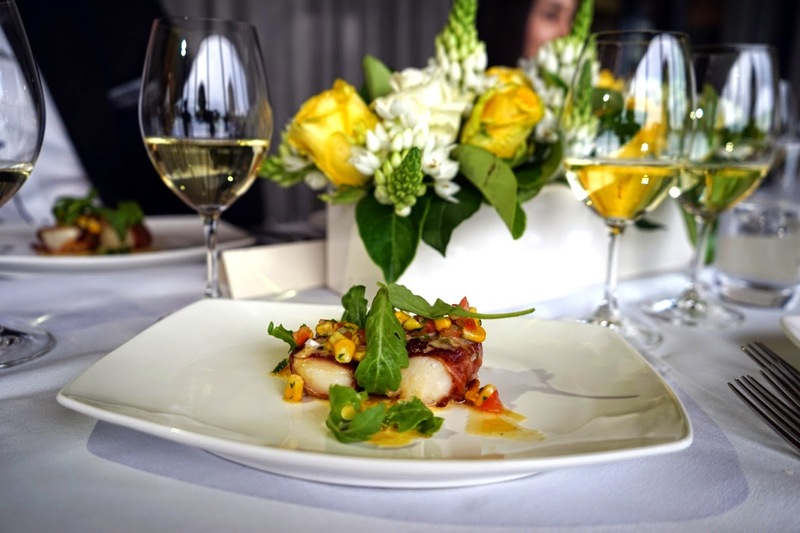 Although you’re unlikely to experience the same seven course degustation as I’m about to describe, you can order two courses for $60 or three for $72, which is on par with prices from surrounding wineries in the Yarra Valley. 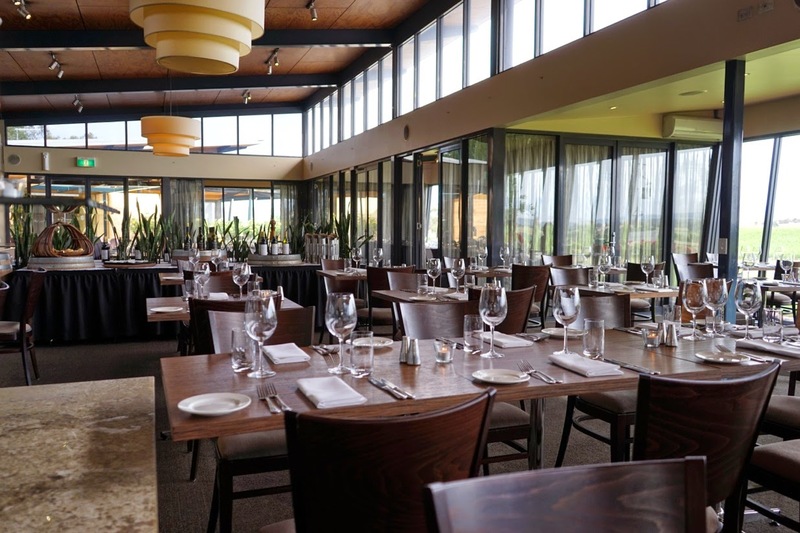 For lunch you won't pay more than $20 for an entree and $32 for a main. 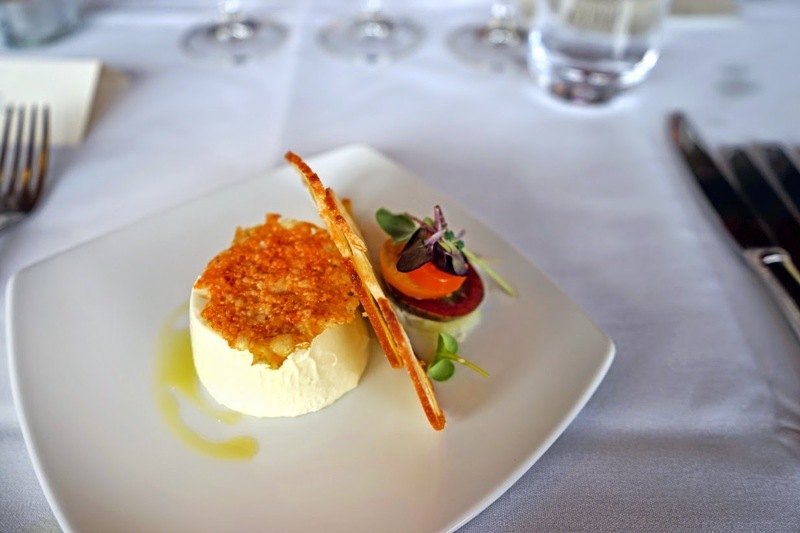 Think of me as a guinea pig, so when you visit Balgownie Estate, you can use this to decide what to order. 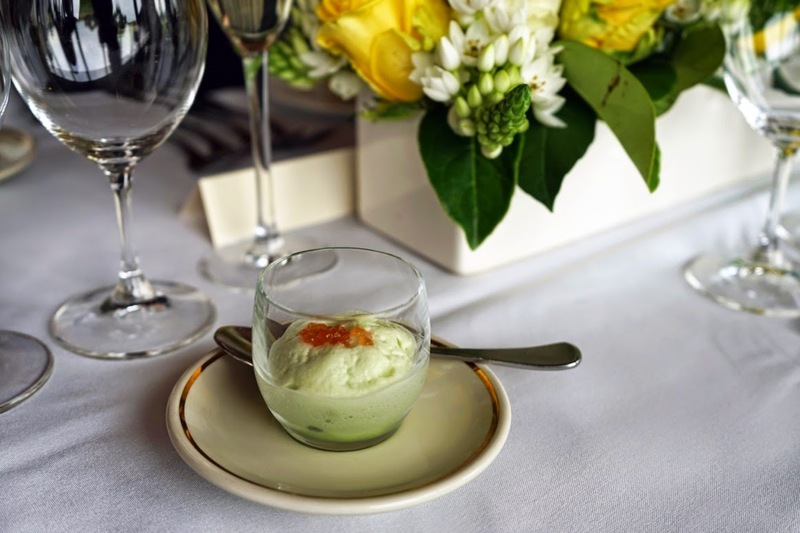 Dinner started small with pale green cucumber foam dainty enough to pass as dessert, if it weren’t for the addition of salmon roe. The same child-like pleasure people experience when popping candy hits their tongue, I get from attempting to pop tiny roe against the roof of my mouth. The bubbles in the Balgownie Estate NV Premium Cuvee Brut mirrored the airiness of the foam. The second course also mimicked dessert, this time in the form of a panna cotta. Instead of vanilla or seasonal fruit, this one was flavoured with goat’s cheese. We spread the creamy base onto garlic sourdough crisps, dispersed the Parmesan wafer and reset our palates with tangy tomato and fennel salad. The 2013 Black Label Sauvignon Blanc cut through the rich panna cotta, although I still found myself unable to manage the whole thing. When two bulging scallops scattered with corn and coriander salsa arrived, the immediate reaction was to ask where they came from. Later we found out they had been imported from Canada, because Canada had the best the chef could find in the face of Aussie scallops being pumped with water and drained of flavour. I’m all for importing ingredients and clocking up food miles if it’s A) the best produce out there and B) balanced with local ingredients. During this course we had a glass of wine per scallop, both Balgownie Estate Chardonnays but one from 2011 and the other, 2012. The former was my favourite wine of the evening, extremely elegant with clear butterscotch notes. I was just about through the 2012 Chardonnay when the 2013 Pinot Noir was poured – the first from the Yarra Glen estate, as opposed to the estate in Bendigo – to accompany the salmon tasting plate. The presentation was simple, nothing to write home about as I’ve read in other reviews. But as we were repeatedly told throughout the evening, Rae’s Restaurant is not a fine diner – it simply focuses on quality and consistency. 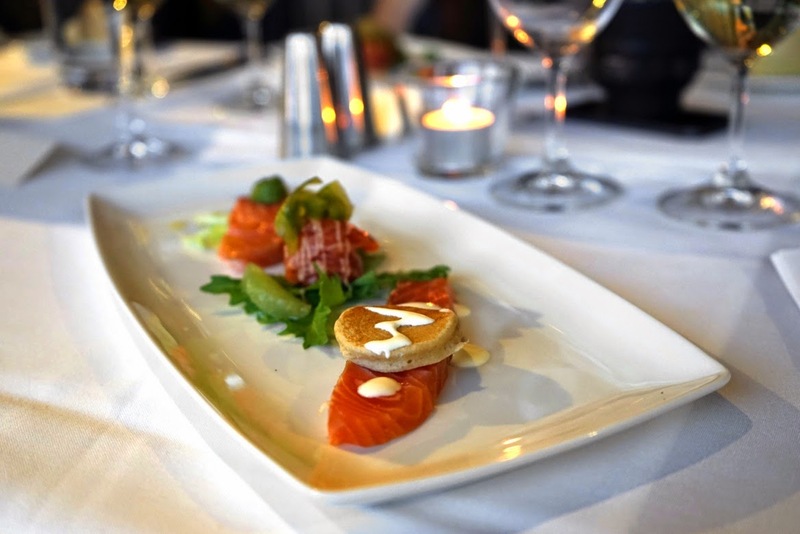 Back to the salmon, of which there were three varieties: house cold-smoked salmon wearing a buckwheat blini whose dryness wasn’t saved by a feeble spurt of crème fraiche, “Asian-inspired” gravalax with soy mayonnaise and house hot-smoked salmon with salsa verde. The latter was the clear victor, the smoky aftertaste putting the more subtle salmons to shame. Just when we truly believed we couldn’t manage another bite, a hunk of seared eye fillet shimmering in thick brown sauce spiked with blue cheese turned up. It’s always a challenge to control oneself around perfectly cooked meat – pink in the middle with the outside seared to keep in the flavour – especially when it comes with two glasses of Balgownie Estate Cabernet Sauvignon from 2010 and 2012. I preferred the latter, which was not only fruitier but had me sipping it repeatedly in what turned out to be a failed attempt to grasp a faint memory. The Balgownie Estate Sparkling Shiraz came next. I’ll spare you wine wankery terms such as ‘ripe’ and ‘smoky’ and be completely honest – it tasted like an R18+ version of Ribena. Never being allowed to drink the stuff growing up, it was a given I took to the Shiraz. 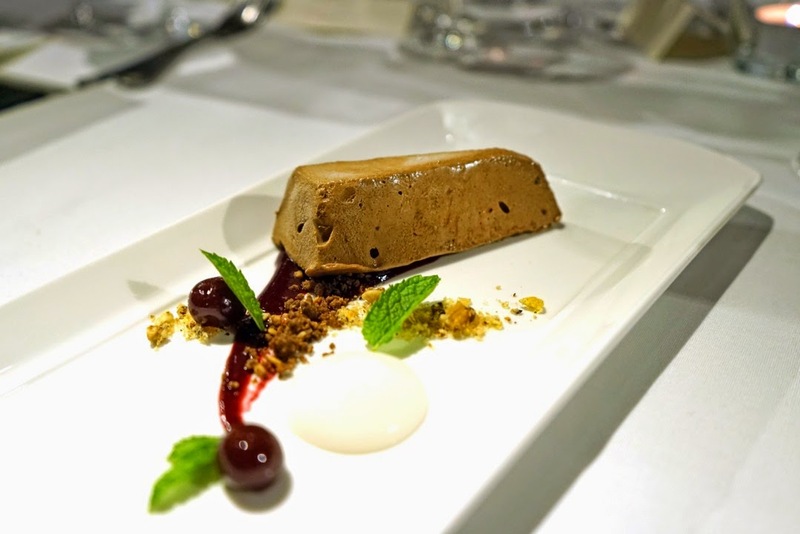 It accompanied a velvety chocolate parfait with kirsch cherries and roasted hazelnut praline (more like crumbs or ‘soil’). There was also a splodge of coconut gel, which I could have done without. After chocolate came cheese, a whole board of the stuff with muscatels, fruit and nut bread and candied walnuts. 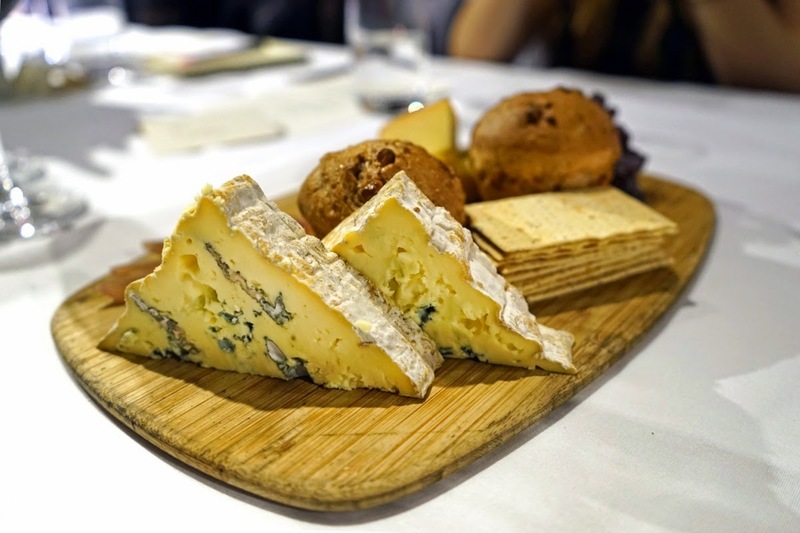 King Island brie, Roaring Forties blue and smoked cheddar were matched with Balgownie Estate Old Vine Shiraz, a glass from 2008 and another from 2009. It was the final course and the final glasses, but by this stage, I was so full I could barely appreciate them. As I lay awake in bed after dinner, too stuffed to sleep just yet, a thought popped into my head: it doesn’t matter how wonderful the food is or how highly James Halliday rates a bottle, if the company is unbearable, the meal will be also. It works in reverse, too: average food and wine in good company becomes something much better than it is in reality. On this particular evening I was lucky enough to have already spent a beautiful day with my dad, had treated myself to a massage and was surrounded by people with similar interests who made for great conversation. And if that wasn’t enough already, Mother Nature sealed the deal with an incredible sunset. Even though we were spoilt with a stunning meal at Balgownie, I still would have enjoyed the experience if my tastebuds were disappointed. The best way to eat and drink – regardless of whether you take a gourmet roadtrip or chow down on a rotisserie chicken picnic while being attacked by mosquitoes – is in the company of others. Until the end of January, you can purchase a Balgownie Estate Summer Indulgence package that includes a bottle of BG cuvee, a $100 voucher to spend at Natskin Spa Retreat onsite, breakfast and complimentary wine tastings in the cellar door, for $349 per couple, per night. i am really obsessed with the beautiful colors of your presentation.. just wow.Gorgeous! I love your blog! I enjoy traveling so reading your articles make me happy! I'm interested in food and personal niches. That's why I follow your blog. I will read http://colleengetslost.com/ first and then wait for the results. What are the niches you're interested in? Wow i love this restaurant so much i like it also good luck for the next adventure my friends.